Fuji FG-13 series die grinders feature compact and sturdy design with 30,000 rpm of speed. Fuji FG-13 series die grinders are widely used for gringing and deburring with mounted points or carbide burrs. Model: FG-13-1 Collet Size mm: 3mm/1/8'' Locking Lever (F): Side Exhaust (-) 1/8'' Free Speed: 30,000 Power: 140W/0.188HP Overall Length: 158mm/6.22'' Weight: 0.37kg/0.82lbs. Model: FG-13-10 Collet Size mm: 3mm/1/8'' Locking Lever (F): Side Exhaust (-) 1/8'' Free Speed: 30,000 Power: 140W/0.188HP Overall Length: 158mm/6.22'' Weight: 0.37kg/0.82lbs. Model: FG-13X-1 Collet Size mm: 3mm/1/8'' Lever: Rear Exhaust (X) 3mm Free Speed: 30,000 Power: 140W/0.188HP Overall Length: 183mm/7.2'' Weight: 0.4kg/0.9lbs. Model: FG-13X-1 Collet Size mm: 3mm/1/8'' Locking Lever (F): Rear Exhaust (X) 1/8'' Free Speed: 30,000 Power: 140W/0.188HP Overall Length: 183mm/7.2'' Weight: 0.4kg/0.9lbs. Model: FG-13X-10 Collet Size mm: 3mm/1/8'' Locking Lever (F): Rear Exhaust (X) 1/8'' Free Speed: 30,000 Power: 140W/0.188HP Overall Length: 183mm/7.2'' Weight: 0.4kg/0.9lbs. 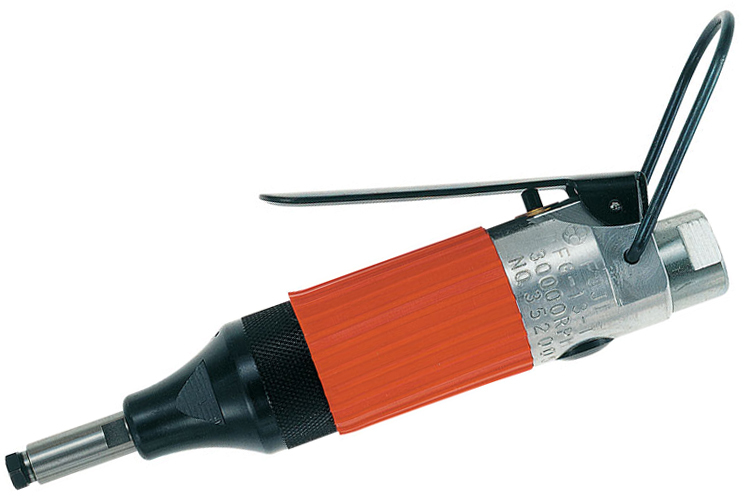 The 5412052733 Fuji FG-13 Series Die Grinder is one of thousands of quality tooling products available from MRO Tools. Please browse Fuji FG-13 Series Die Grinders for tools similar to the 5412052733 Fuji FG-13 Series Die Grinder. 5412052733 Fuji FG-13 Series Die Grinder description summary: Model: FG-13X-1 Collet Size mm: 3mm/1/8'' Lever: Rear Exhaust (X) 3mm Free Speed: 30,000 Power: 140W/0.188HP Overall Length: 183mm/7.2'' Weight: 0.4kg/0.9lbs. Quantity discounts may be available for the 5412052733 Fuji FG-13 Series Die Grinder. Please contact MRO Tools for details.